A seasoned Litigator and dedicated Public Servant, David L. Cook’s professional and community service roots date back to his teenage years. He developed a strong interest in law while still in high school, and was also interested in public service. He learned that a large number of State Legislators were also attorneys. As he began college, he firmly believed having knowledge of one (law) would help him with the other (Public Service). Today, David is actively engaged in the pursuit of both of his passions: He’s the leader of Harris Cook’s daily operations, a prominent Family and Business Law attorney—and he’s also the Mayor of Mansfield, a post he’s held since 2008. 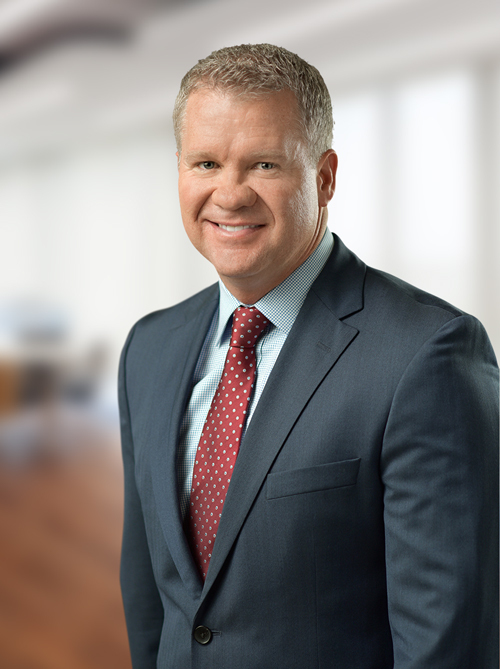 David was admitted to the Texas Bar in 1997, following his graduation from Texas Wesleyan University School of Law, which is now known as Texas A&M University School of Law. He completed his undergraduate work at Stephen F. Austin State University, where he received a degree in Public Administration. He’s since become one of the most sought-after Family Law attorneys in Tarrant County, a specialty in which he’s Board Certified. Within that discipline, he specializes in cases that involve Complex Division of Assets or Contested Child Custody matters, and often finds himself representing business owners. I retained David to represent me during my divorce. David was a valuable advocate for my interest. Without a doubt, I would recommend David to any friend I have. I deal with attorneys on a regular basis in my professional career. I believe he is one of the best attorneys in Tarrant County. David has been my personal attorney for a number of years. He and his staff have handled a variety of matters, all to a successful conclusion. David cared to always put my needs first and has the skill set to help me achieve those needs. The Best Lawyer! David Cook is not only knowledgeable about the law, he is also caring and is able to communicate clearly to his clients the situation from a legal stand point. Dealing with legal matters is stressful, especially in family matters where emotions are so involved. Having David Cook as my attorney made the experience the best that it could be. I’ve been extremely impressed with his level of integrity and commitment to the community. David proved to be all that I thought he would be as an exceptional attorney, that I wouldn’t hesitate recommending to my family and friends. David first represented me in a complex divorce proceeding 7 years ago. David has also represented me in business matters, and estate planning efforts. His approach was consistent and he always demonstrated thorough knowledge on each topic. We achieved the desired outcome in every situation. I deal with many different attorneys across the US in many different regional markets in my professional practice in a different area of law. We all know there are good and bad lawyers that offer thier services. In my opinion and professional experience David Cook is a great lawyer. If you are going through a divorce or having child custody issues, David is the lawyer for you. David is an awesome mediator and is capable of getting people to see reason and agree to certain things rather than have to go before a judge. Because of his hard work, working knowledge of law, understanding of business and negotiation skills we were able to save our company and avoid court.